The weather is changing. The cold winds are dissipating and the sun has finally come out. Although some of you may be sad, most of us are ecstatic about the prospect of enjoying time outside, meet friends and perhaps partake in the odd barbecue. Just in time for this awaited time of the year, we have found a simple, casual and charming space that contains every element that makes this season so special. 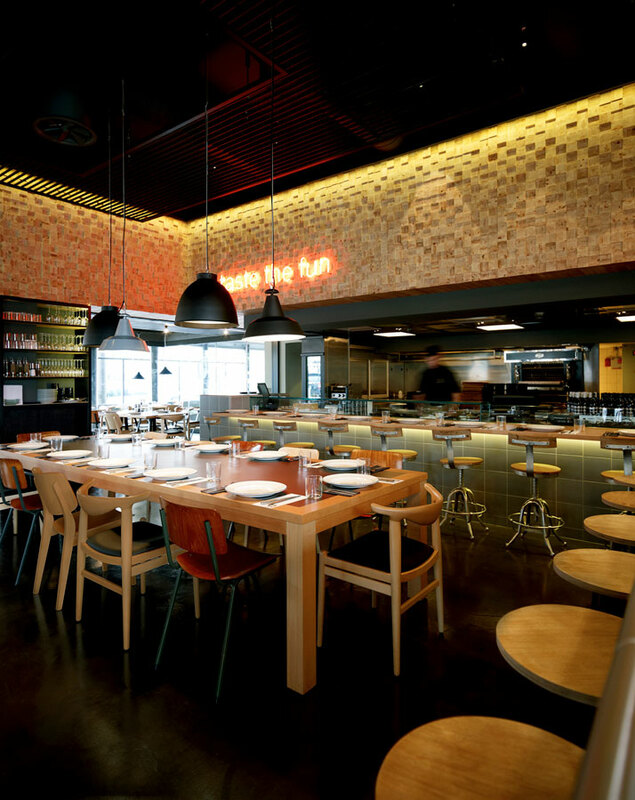 The BarQue restaurant in Nea Erythraia, a suburb in the northeastern part of Athens, Greece, was designed around the idea of social interaction. 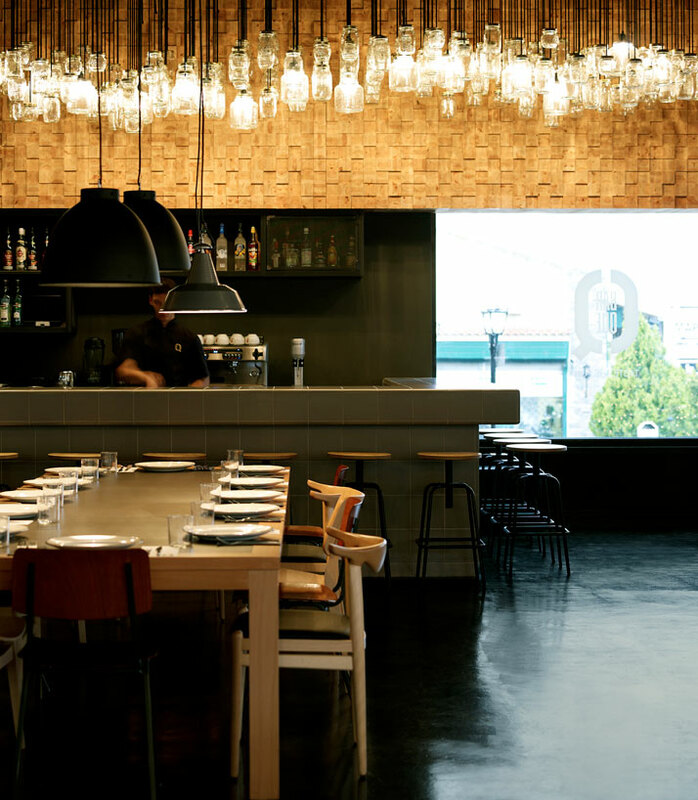 Designed by K-studio, who seems to have been designing every succesful restaurant around Greece lately, a sense of a social event combines with a comfortable interior dining experience. 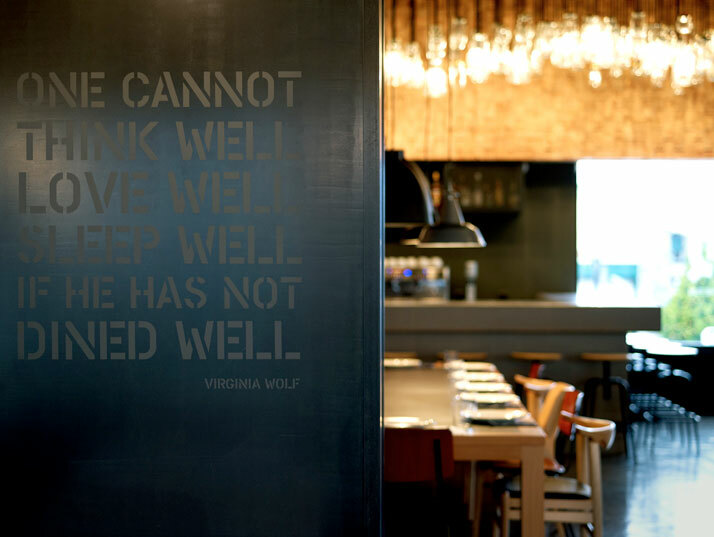 As you approach the restaurant you are welcomed by dark steel and stenciled letters that establish the identity of the place. The stencil typography is utilized when branding meat so it seemed only appropriate to give it life and dominance as the identity language. This masculine and structured element sets the tone of the interior. 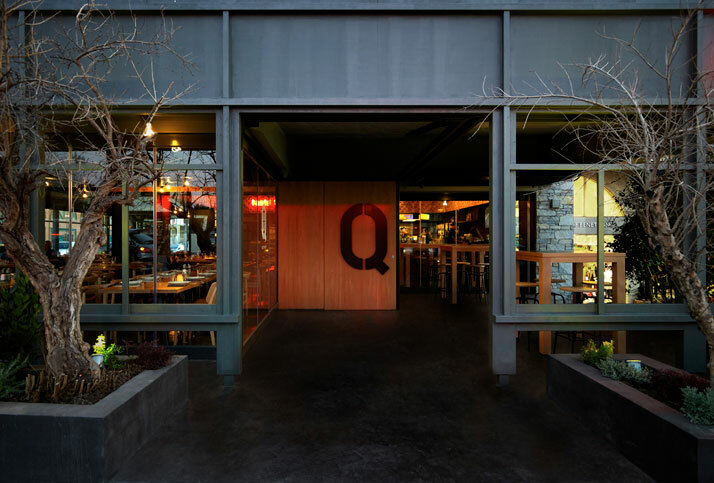 As you enter, you quickly notice the dropped ceiling and its dark color creating the false appearance of a barbecue grill having been placed upside down. 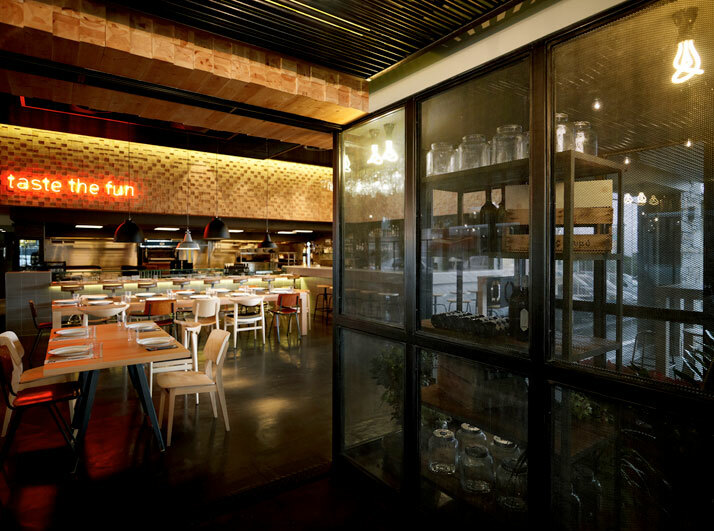 This in turn extends the depth of space and continues to reinforce the culinary theme in the architectural language. Communal tables offer the opportunity to converse and form friendships, connecting the dining experience to everyone in the space. The social component is strengthened through the barbecuing (always a crowd creator) and allows seating to be maximized. The interior space is open, comfortable and casual and an ideal place to enjoy company and the fine rare, medium rare or medium meats per your order. 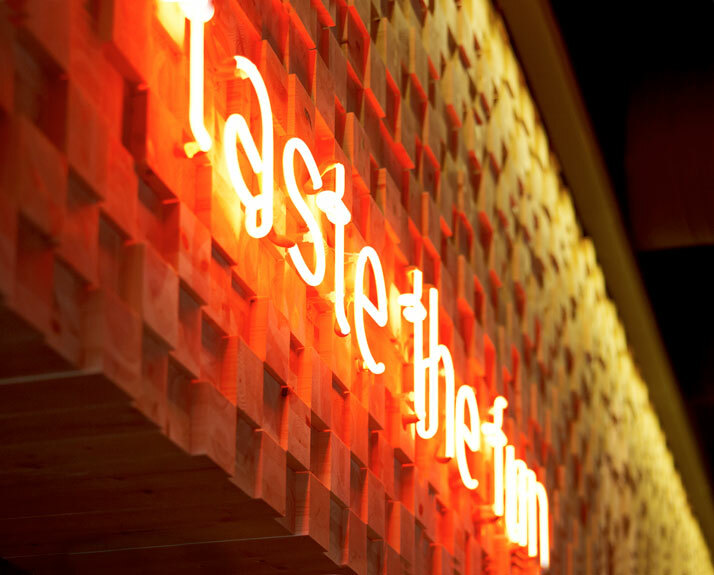 The playful neon message 'taste the fun' stretches the warm tone of red and is a reminder of burning charcoal. 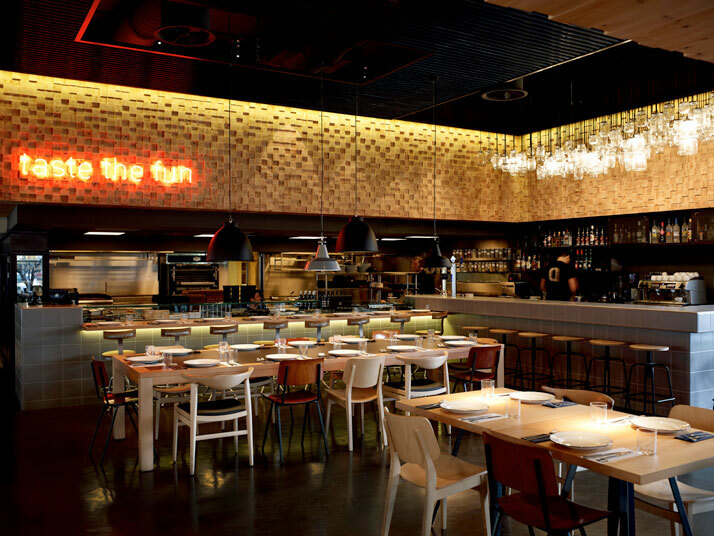 The wood band above the dining level brings back the natural tone from the butchers table into an interesting dimensional texture with its cove lighting detail. 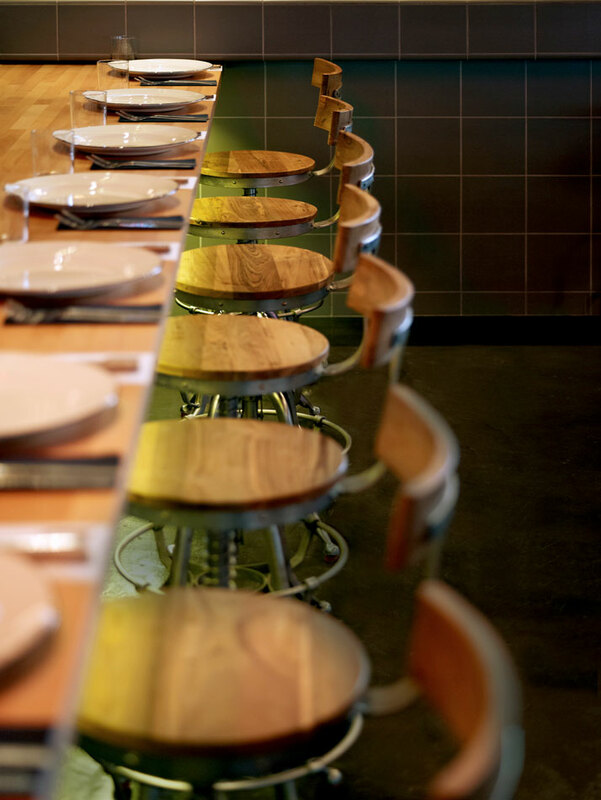 Whether you come with friends or meet new friends whilst seated at the communal tables, the purpose of all of this is to enjoy a social atmosphere while dining where both diners and chefs share the same space and the same noise. 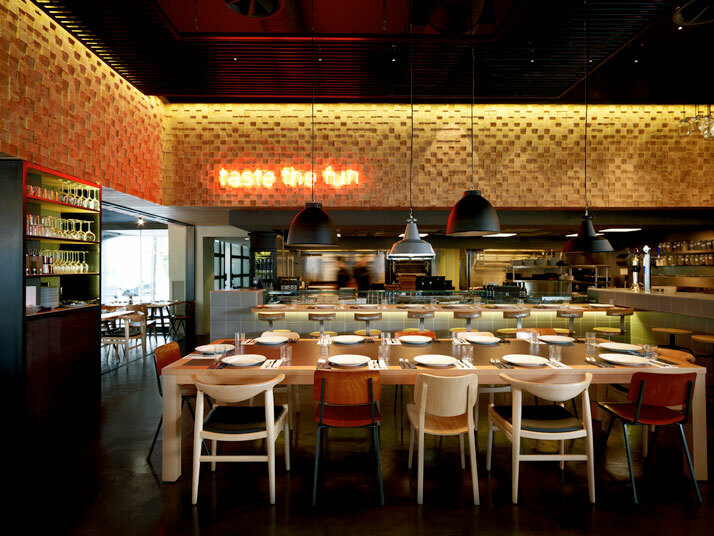 k-studio, once again, creates a clever and comfortable space composed of very genuine materials that are directly related to the environment and its gastronomic pursuits. 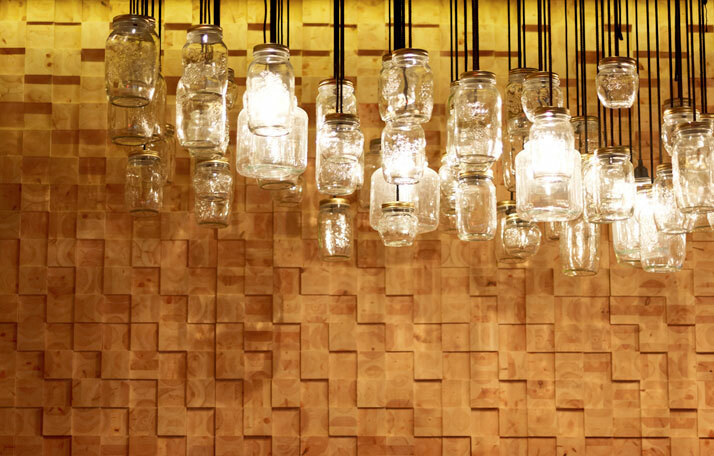 Glass jar lighting fixtures, random furniture placements and subtle neon details all serve to make you wonder whether you are inside or just outside with your friends enjoying a sunny day.